Works we have brought to life. I Sing of a Maiden was composed to the text from the Sloane Manuscript of 1450. We also sang Christ’s Nativity, for choir and organ by Perry, on this concert. 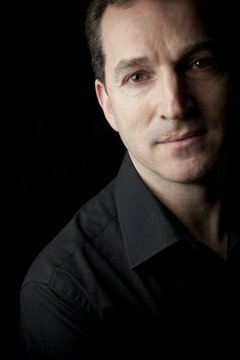 Ben Parry has a busy career as a conductor, composer, arranger, singer and producer in both classical and light music fields. He has made over 80 CD recordings and his compositions and arrangements are published by Peters Edition and Faber Music, including the popular Faber Carol Book and Music for Special Occasions. He collaborates regularly with the writer Garth Bardsley: their choral piece Flame was performed by a choir of 300 singers at the Royal Albert Hall in the 2012 BBC Proms and their carol Three Angels by King’s College Choir on BBC TV’s Carols from King’s. Major commissions include the Cathedral Choral Society of Washington DC, Norwich, Ely and Sheffield Cathedrals, BBC Singers and the Aldeburgh Festival. Ben’s music also featured in the 1st episode of the hit US TV series, Glee. He has composed many tracks for the Library music company, Audio Network, whose music can be heard throughout the world on radio and TV. Ben is Director of the National Youth Choirs of Great Britain, and works extensively with young musicians as a director of the Eton Choral Courses and as former Director of Music at St Paul’s School and the Junior Royal Academy of Music in London. As co-Director of the professional choir London Voices, he has worked closely with Sir Paul McCartney on his classical choral work, Ecce Cor Meum, as well as conducting on the soundtracks of major films such as The Hobbit, Hunger Games and Harry Potter and the Deathly Hallows. London Voices performed the premiere of Stockhausen’s Mittwoch for the 2012 Cultural Olympiad in Birmingham Festival and Berio’s Sinfonia with the National Youth Orchestra in 2009 and at the BBC Proms in 2014. He is also Assistant Director of Music and a Bye-Fellow of King’s College, Cambridge, where he runs the mixed choir, King’s Voices. Ben studied at Cambridge University, where he was a member of King’s College Choir. Later he was musical director and singer with The Swingle Singers, with whom he toured the world and performed with some of the greatest musicians, including Pierre Boulez, Stephane Grapelli and Dizzy Gillespie. He composed and arranged over 50 pieces for the group and co-produced their albums for Virgin Classics and EMI. For eight years he lived in Scotland, where he co-founded the distinguished vocal ensemble Dunedin Consort, and was also Director of the Scottish Chamber Orchestra Chorus and Director of Choral Music at the Royal Scottish Academy of Music and Drama. As an orchestral conductor he was worked with the London Symphony Orchestra, London Philharmonic Orchestra, Scottish Chamber Orchestra, Royal Symphony Orchestra of Seville, The Scottish Ensemble and the Vancouver Youth Symphony. He conducted five productions from 1999 as Music Director of Haddo House Opera. He has sung with the Gabrieli Consort, Taverner Consort and Tenebrae, as well as on many film and TV soundtracks. He appeared on the West End stage in the UK premiere of Cy Colman’s musical City of Angels in 1994. To learn more, visit the composer’s website. William Averitt (b. 1948) is the composer of numerous works which have received performances throughout the United States and in Western Europe, Russia and Asia. 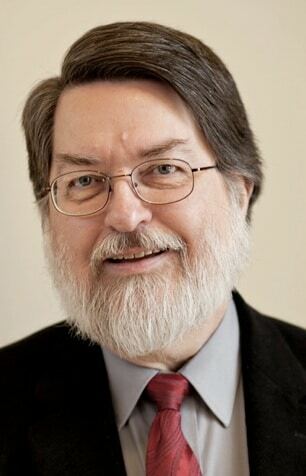 He has received several composer fellowships, grants and commissions from a wide variety of sources such as the National Endowment for the Arts (twice), VMTA/MTNA (six times), Meet the Composer and the Atlanta Chamber Players. Recent commissions have been completed for Texas Lutheran University (The Deepness of the Blue, From Dreams and Scenes, premiered in 2012), Choral Arts of Seattle (An American Requiem, premiered in 2012; The Dream Keeper, premiered in 2009), VMTA (Refractions, premiered in 2014; The Memory of Shadows, premiered in 2007), organist Dudley Oakes (The Seventh Seal, premiered at the Washington National Cathedral in 2006), the Bach Choir of Pittsburgh (Lacrymae, premiered in 2003), Opus 3 Trio of Washington, DC (Harmonia, premiered in 2001) and Murray State University Concert Choir and Shenandoah Conservatory Chamber Choir (both for a cappella Latin motets for Spring 2001 tours of Italy). Nocturne, a song cycle for soprano and orchestra commissioned by the Maryland Symphony Orchestra for their 20th Anniversary season, was premiered in 2002. Other commissions have included works for Currents (a contemporary music ensemble in Richmond, VA), the Shippensburg (PA) Summer Music Festival, the Paducah (KY) Symphony Orchestra, the First Presbyterian Church of Columbia, SC (for their bicentennial celebrations), Sonus Ensemble of Washington, DC, the Youth Orchestras of Prince William (VA), former Shenandoah Conservatory Dance Division colleague Elizabeth Bergmann (through a Virginia Commission for the Arts grant), Shenandoah University and Winchester (VA) Musica Viva. Other scores include a two-hour St. Matthew Passion for soloists, two choruses and orchestra co-commissioned by eleven southeastern university choral departments and first premiered on Good Friday 2000 in Columbia, SC under the direction of Larry Wyatt. This work recently was revised in 2009 performed in its new version in Columbia SC and at the Southern Division-ACDA Conference in Memphis in 2010. In 1989, Averitt completed a major commission from the Hans Kindler Foundation of the Library of Congress in Washington, DC for a new work that was premiered there by the Verdehr Trio. Tripartita for violin, clarinet and piano has been taken into the Trio’s active repertoire, performed on tours in several cities including New York and Seoul, and released on compact disc by Crystal Records; the score is published by Michigan State University Press. The Verdehrs, in conjunction with the Michigan State University Wind Symphony, commissioned a Triple Concerto with winds which was premiered at Michigan State University in 1996. In recent seasons, Tripartita has received numerous additional performances and appeared in the active repertoire of the Helios Trio of the Netherlands, among others. 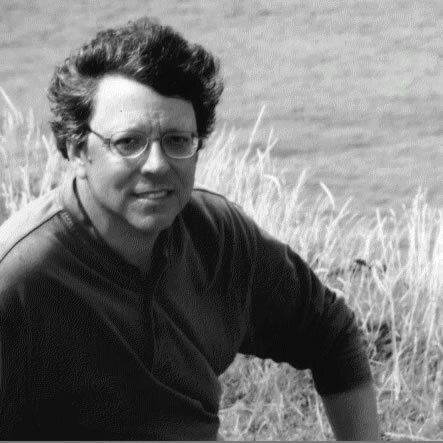 Mr. Averitt’s 1991 score Afro-American Fragments (Langston Hughes) for SATB, soprano and piano 4-hands was the winning work of the 1992 Roger Wagner Center for Choral Studies Choral Composition Competition. This score has been performed by a number of professional choruses including Conspirare, the Washington Singers (Paul Hill), the Desert Chorale, the New Texas Festival, the Air Force Singing Sergeants, Kantorei (Denver, CO), Winchester Musica Viva and by numerous university choruses throughout the country. In the Spring 1996, Afro-American Fragments was the featured work performed by the Connecticut High School All-state Chorus. In 2004, Conspirare released three movements of Afro-American Fragments as part of their acclaimed CD . . . through the green fuse . . . More recently, Mr. Averitt has written two similarly scored cycles on Langston Hughes poetry: The Dream Keeper (Choral Arts of Seattle, premiered in 2009 and included on their award-winning CD Mornings Like This) and The Deepness of the Blue (Texas Lutheran University, premiered in 2012). William Averitt has been married to the flutist Frances Lapp Averitt since 1971. She has commissioned numerous works in a variety of genres that incorporate the flute including Night Piece (1974), Suite for two flutes (1974), Fantasia I (1977), Four Appalachian Folk Ballads (1990), Sonata (1992), Intonation (1998), Tunebook (2004), Quat’sous (2004) and Transversions (with Ecstasy) (2006). She has played the premieres of many additional scores commissioned by others. She is Professor Emeritus of Music in Flute at Shenandoah Conservatory of Shenandoah University. Hushed Haiku, written for the South Bend Chamber Singers and completed in 2017, is a musical setting of five unpublished haiku by Karen Hesse, an American author of historically based books for young adults. As with traditional haiku, Hesse’s five evoke images of the natural world, and these five have a particular focus on the season of winter. Haiku syllabic structure requires five syllables in the first and third lines of each three-line haiku, and the number five figures prominently throughout Hushed Haiku—five sections, five-part chorus, 5/8 and 5/4 meters in alternating sections, and a five-word phrase, built of one significant word from each of the five haiku, provides the text for a unifying musical ostinato. 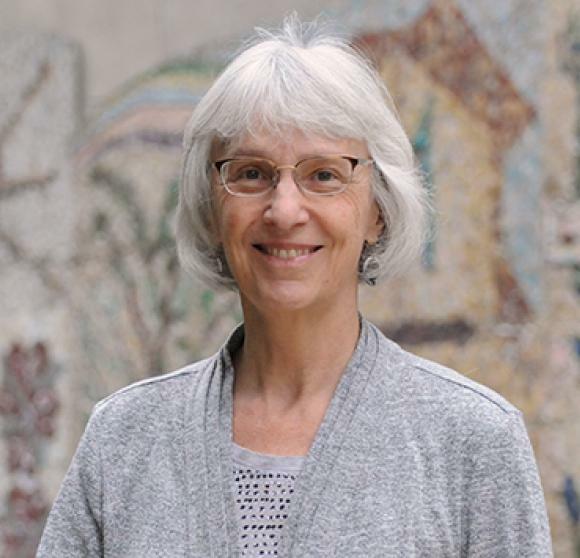 In her choral and vocal works, Munn typically sets texts by living writers, including Peg Lauber, Marilyn Taylor, and Karen Hesse. One of Hesse’s young adult novels, Witness, was the basis of the libretto for Zae’s 2006 full-length opera of the same name and her very short opera, Night of Blue Magic, sets 22 haiku by Hesse. Zae Munn is Professor of Music at Saint Mary’s College in South Bend, Indiana where she teaches theory, composition, digital media in music, and orchestration/arranging. She is the the Director and Resident Composer of the Summer Composition Intensive at Saint Mary’s College. She has also taught at Interlochen Arts Camp, Bowdoin College, Transylvania University, and Lehigh University. Her DMA and MM degrees in composition are from the University of Illinois at Champaign-Urbana and her BM in composition is from Chicago Musical College of Roosevelt University. Born in 1953, Munn’s early musical training was as a cellist, with additional studies in piano, voice, and conducting. Her works are published by Arsis Press, Balquhidder Music, Earthsongs, Frank E. Warren Music, HoneyRock, JOMAR Press, Tempo Press, and Yelton Rhodes Music. Recordings are available from Navona Records, Capstone Records, Centaur Records, and a number of independent labels.